I'm late again. Let's get to it. For the second week in a row, we had a clean sweep at the top of the leaderboard. This week, the developing powerhouse team of Quiz in My Pants claimed the top spot in both games for the second consecutive week. Following closely behind was the power team from the patio, the Mouseaholics. Congratulations to both teams as well as all our players. 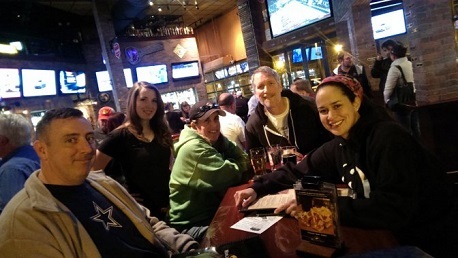 A friendly reminder, the next installment of the PubGuys Trivia League will be starting up August 7th, and will be coming to WOB Arlington August 9th. Make sure you've registered your team and have a team captain on this very website, else you'll miss out on all the fun. For that Scavenger Hunt Bonus Point, let's talk about your favorite Texas Ranger (#29). Find out when he won his first Golden Glove award and tell me the name of the professional football coach from that same city that same season.